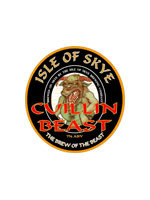 CAMRA, the Campaign for Real Ale, has announced that the Isle of Skye brewery's Cuillin Beast has been crowned Champion Beer of Scotland for 2011 at the Scottish Real Ale Festival in Edinburgh. Runner-up in this year's competition, which took place last week, was the Aviemore-based Cairngorm Brewery's Black Gold, while third place went to Peter's Well from the Renfrewshire-based Houston Brewery. Cuillin Beast, a 7% ABV strong old ale, is described in CAMRA's Good Beer Guide as a "winter warmer; sweet and fruity, and much more drinkable than the strength would suggest. Plenty of caramel throughout with a variety of fruit on the nose". Judging the final entrants this year was a panel of CAMRA members, brewers, publicans and beer writers. Judges noted the difficulty in choosing between the sheer quality of all the entrants on show this year. An elated Angus MacRuary, managing director of Uig-based Isle of Skye Brewing Company, said: "We're absolutely knocked out. As one of the earlier new Scottish brewers, we've come close to winning on a number of occasions and couldn't be more delighted to win this year." Mr MacRuary went on to credit head brewer Pam MacRuary and the rest of the team for all their hard work. The competition was held at the Scottish Real Ale Festival which featured beers from 38 Scottish brewers. Champion Cuillin Beast was part of the range of around 150 excellent beers available at this year's festival.